Mcclelland & Stewart. Very Good+. 1996. Softcover. 077102830X . Clean, tight condition. Very light edge/corner wear, a little corner curling, pages clean & tight. B/w illus. Oblong (4.5" x 8") . 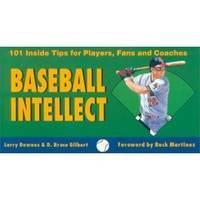 "....Containing 101 tips broken down into 10 categories (hitting, infielding, outfielding, pitching, catching, running, offensive strategies, defensive strategies, umpiring, and general) , this book is a "must have" for coaches, fans, and players. While we all know the basics, Downes and Gilbert give you the finer points of how the game is played..." (*shipping will be reduced on this lighter book); 24mo 5" - 6" tall . Penguin. Very Good. 1988. Softcover. 0140109498 . Reprint. Ex-library book with usual markings. Light edge & corner wear, creasing to spine, light soiling outer edge of pages. Internal pages are clean & tight. B/w photos. 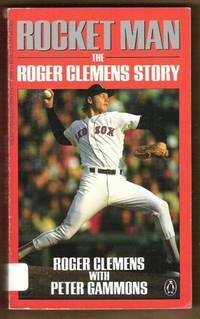 This is the story of how Clemens won his place in baseball history and provides a pitch-by-pitch description of his 1986 MVP season - right up to the 7th game of the World Series..." (*Shipping will be reduced to most locations) ; 12mo 7" - 7½" tall . Four Winds Press. Near Fine in Near Fine dust jacket. 1993. First Edition; First Printing. Hardcover. 0027359913. . Scarce in this Edition. Excellent condition - only very light wear overall. Jacket has light scuffing and there is an inscription opposite title page. This could be covered with a bookplate or gift tag. Interior pages are otherwise unmarked. Great colour illustrations throughout. Illustrated lyrics to that famous song. "You are holding your ticket to Game 5 of the 1947 World Series. 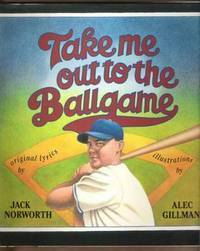 So...as the October sun moves from east to west, lengthening the shadows across the infield, as hope becomes possibility, and a Brooklyn afternoon becomes history, let an old song-and-dance man and a talented new artist take you out to the ballgame! ; 4to 11" - 13" tall . Bantam Books. Very Good in Very Good dust jacket. 1986. First Edition. Hardcover. 0553051369 . Hardcover is clean and unmarked other than small inscription on blank endpage. A little fading to spine bottom, where some of the color has leeched into inside of jacket. Jacket has tanning to edges, light edge wear, couple small edge chips and discoloration to spine bottom, not price clipped. B/w photos. 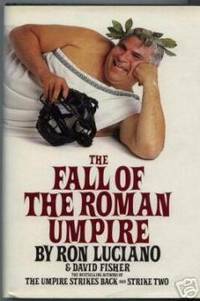 ; 8vo; From Library Journal: Luciano, whose The Umpire Strikes Back and Strike Two were best sellers, teams up again with Fisher for another humorous look at baseball. 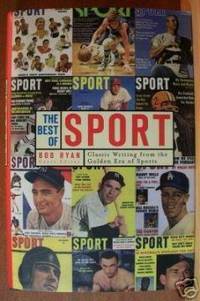 After a light-hearted account of his progress from umpire to broadcaster to mere fan, and comments on ball parks and team mascots, Luciano introduces autobiographical vignettes by a lineup of 14 unheralded but appealing baseball journeymen... (550) . Chelsea House. Very Good+. 2000. Softcover. 0791058980 . Ex-library book, but still in very nice condition - sturdy laminated cover and usual ex-lib type markings. Overall wear is light, clean and tight pages. B/w photos. Juvenile/Young Adult reading. ; 8vo; (photo shown is a stock photo). 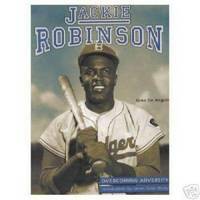 Jackie Robinson refused to quietly accept the racism that he as a black man encountered regularly. He was, above all, a fighter. But what Jackie is remembered for most is the grace and courage he displayed in not fighting back in the face of a barrage of racial taunts and threats. 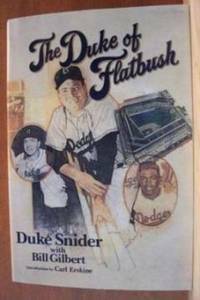 In the process, he insured the success of major league baseball's "noble experiment" - the elimination of the so-called color barrier.... [280-osl] . Publications International. Very Good. 1990. First Edition. Softcover. Official Licensee MLBPA. Minor cover wear, a couple slight creases on cover. Pages are clean and tight. 48 pages. 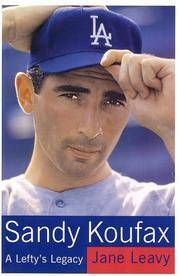 "There are more than 3,000 players who donned a pro baseball uniform during the 1990 season. Of these thousands of players, few have the determination to rise to the top of their profession. 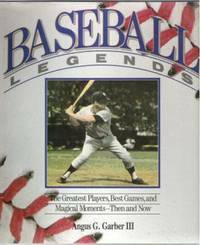 Included in this publication are baseball's 100 hottest players......Such sluggers as Kevin Mitchell and Cecil Fielder, and such hurlers as Roger Clemens and Doug Drabek, are the athletes profiled...." These player photos and stats are displayed in a card-like format, with 2 to 3 players on each page. (400-osl? ) ; 8vo - over 7¾" - 9¾" tall . Leisure Press. Very Good. 1989. Softcover. 0880113588 . 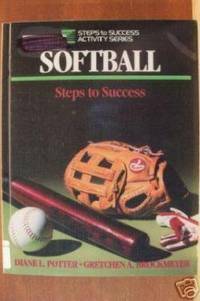 Steps to Success Activity Series. Oversize softcover, plastic laminated, in excellent condition. Ex-library with a few stickers. Very minimal wear, clean & tight. REVIEW: "The authors have done a wonderful job of breaking down the various skills, from beginning to advanced, required to develop or improve your game. Each of the various skills is explained in detail (and illustrated!) and supported with drills of increasing difficulty. This book is an excellent resource, both for the player desiring to improve their skills and the coach looking for useful practice techniques. I highly recommend it!" --Nancy M. Whipple; 4to - over 9¾" - 12" Tall .